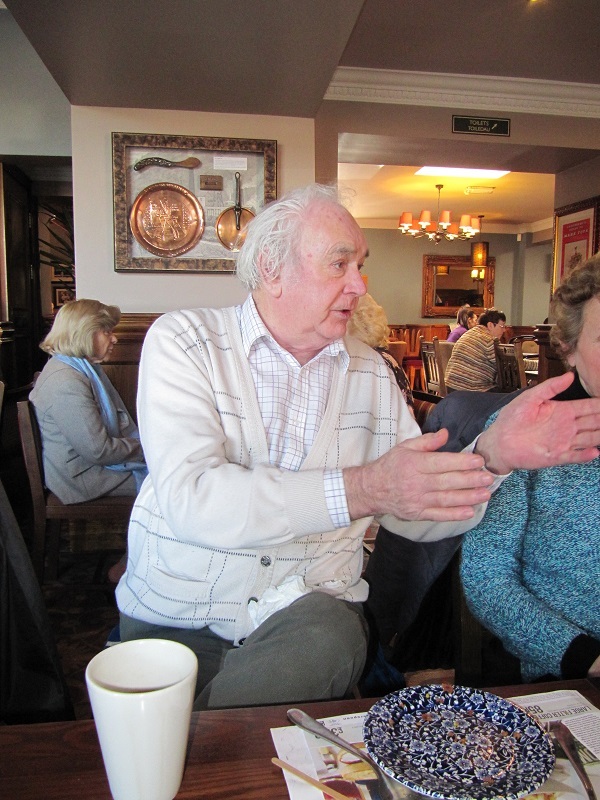 We were delighted to have John Hutchings join us for lunch at the Red Lion. John had worked for British Waterways, on the Swansea Canal, from the 1950’s to 1994 and finished as Chief Engineer. We took the Gareth Mills Collection of historic photos with us, and John went through them one by one, identifying the locations and giving us lots of information on the history of canal and the industries that used it. 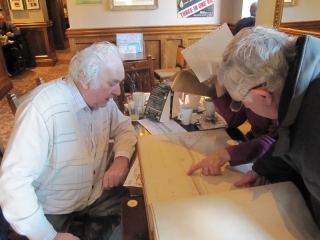 He also brought along a file of 1875 maps of the canal and kindly gave permission for us to photograph them . It was a thoroughly fascinating and enjoyable afternoon and we are very grateful to John for sharing his time and memories with us.